…an improvement on the most popular grass. Most of the other turf varieties compare themselves to bluegrass. It is truly the standard in turf comparison. But, there are some environmental problems associated with Bluegrass, water usage issues, growth issues, etc. Wouldn’t it be nice if there was a kentucky bluegrass seed which negated some of these issues? Now there is, Rave® dwarf bluegrass blend. Yes, DWARF! The ingredients of Rave® Dwarf Bluegrass Blend have been very scientifically engineered to break the negative walls that surround kentucky bluegrass seed. Rave® is a gold mine for sod producers, golf course superintendents, athletic field managers, and other discriminating turf professionals. Due to its lower growth habit, it also exhibits a much denser turf. The color rivals other leading bluegrass products, if not surpassing it. It has plenty of rhizomes. It has a great tolerance to lower mowing heights that may be needed on tees, fairways, and infields. Rave® doesn’t know what a fungicide is. It has shown a very uniform and stable resistance to powdery mildew, leaf spot diseases and snow mold. One of the biggest issues confronting the turf professional is the wear tolerance. Because of its lower growth habit it hugs the soil to create a dense mat that will almost suspend the cleats into the air to create a buffer of protection for the root zone area. 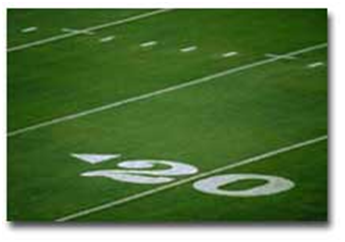 The result is turf which withstands the grinding of football players as well as soccer players. And, it does all of this on less fertilizer than other leading Bluegrass products. We know what is out there from the competition. The recommended seeding rate is 3-5#/1,000 sq. ft.
Sod is available in select markets!